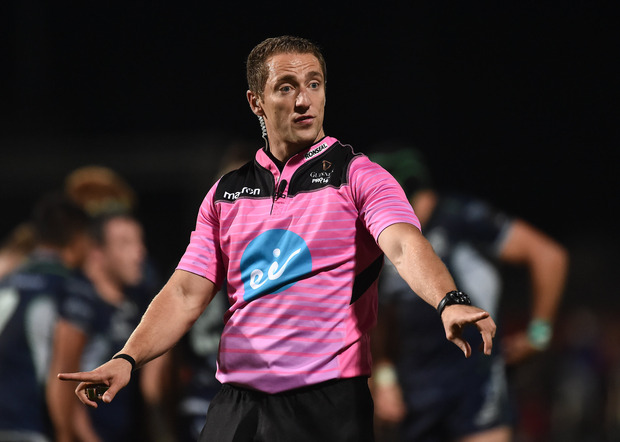 The organisers of the Champions Cup have denied that referee Andrew Brace ended the Bath vs Toulouse fixture prematurely in round one of this year's competition. Toulouse won the match at the Recreation Ground 22-20 folllowing a frantic finale that saw Freddie Burns blow a try-scoring opportunity over the line for the home side after celebrating prematurely. Bath chairman Bruce Craig subsequently complained that referee Brace blew the full-time whistle at 79.57, with his side about to take an attacking lineout. It was then reported that the club would launch an appeal to try and get the fixture replayed because of that decision, and the subsequent citing of two Toulouse players. However, this afternoon the EPCR have refuted Craig's criticism of Brace's time-keeping, and say that 80 minutes had elapsed on the match clock, which was out of sync with the TV graphics. "It has been reported in the media that the match referee, Andrew Brace, blew the full-time whistle three seconds before the 80 minutes had elapsed, however, this is incorrect," the statement says.